Wildwood, New Jersey, is known for its sandy beaches and boardwalk, and is one of the top beach destinations on the East Coast. From spring through late autumn, Wildwood, NJ, swells with tourists who have come to enjoy a packed roster of family-friendly entertainment: craft shows, parades, truck and motocross races, food and music festivals, and weekly fireworks. Here are the best things to do in Wildwood, New Jersey. 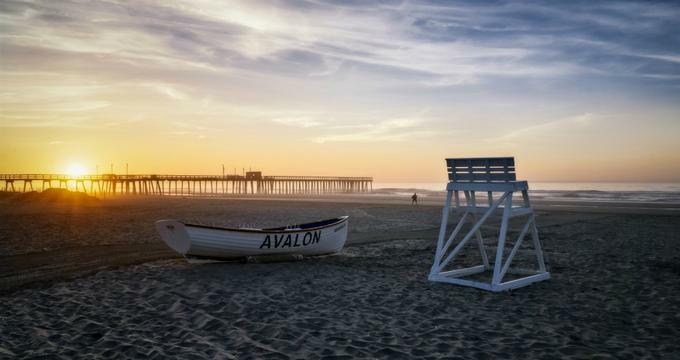 Wildwood beaches cover a five-mile stretch of coast, which makes them the widest and largest beaches in not only New Jersey, but on the East Coast. 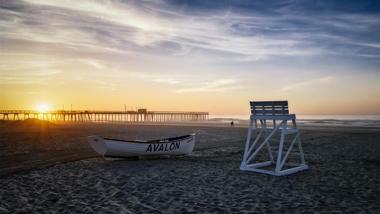 Visitors can enjoy every water and beach activity imaginable here, plus events scheduled throughout the season. Surfers should take their boards to Rambler Road Beach, the one beach where surfing is allowed. Vacationers with pets can walk, run, swim, and play with dogs (which must remain on a leash) on Wildwood Dog Beach. 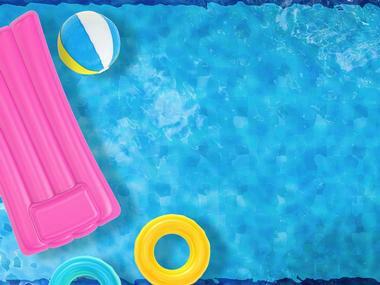 Lifeguards are on duty on the weekends from 10 am to 5:30 pm. Covering a 38-block area, Wildwood's boardwalk is jam-packed with water and amusement parks, shops, restaurants, clubs, and hundreds of attractions. Walk the boardwalk to take in all the sights, sounds, and smells or ride the boardwalk from end to end using the Sightseer Tram Car. Enjoy the beach views while having fun at Morey’s Piers, Splash Zone, or Ocean Oasis, or attend one of the almost 200 cultural, sporting, craft, and food events and festivals that happen annually in Wildwood, most of which are free. In the summer, watch the free Friday night fireworks display or listen to a free concert just about any night of the week. 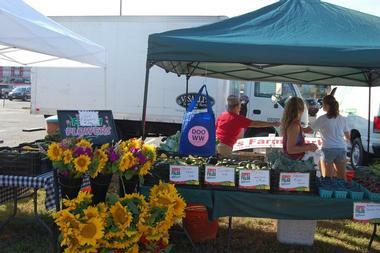 The Wildwood Farmers Market happens every Saturday morning from May through August. The market features every type of culinary delight imaginable, such as locally sourced produce, herbs and greenery, baked goods, artisanal culinary delights, drinks, and condiments. The brainchild of the Wildwood Business District, the market began operation three years ago and is held regardless of the weather. 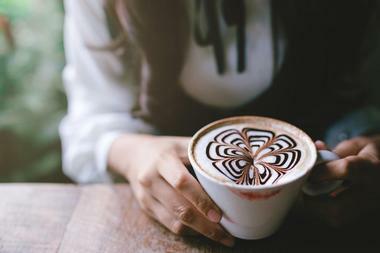 Children and adults alike will enjoy the market’s live entertainment, which runs from 9 am to 11 am weekly and features acts ranging from live music to a balloon artist and a stilt walker. Free parking is available behind the market. George F. Boyer was Wildwood’s sole historian and the first president of the Wildwood Historical Society. His mission was to obtain and preserve artifacts that speak of Wildwood’s past, specifically of the once vibrant Wildwood entertainment scene. The museum opened in 1963 and contains items such as photographs and memorabilia of a time when acts such as Tony Bennett, The Supremes, and Fats Domino played in Wildwood venues. The museum focuses on the 50s and 60s and not only brings Wildwood's music scene to life through objects and scheduled events, it also provides a glimpse into the music and fashion that helped define American identity during that 20-year period. 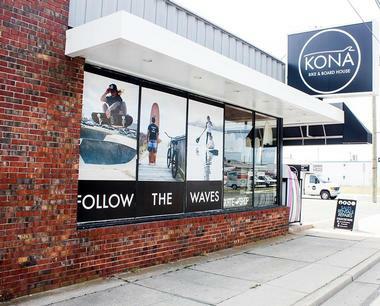 Kona Surf Company is a brand offering surfer and skateboarding clothing for the entire family as well as boards (surf, SUP [stand-up paddle], and skate) and other gear. Kona began with handmade surfboards and skateboards and grew into a focal point of board culture in New Jersey. Kona aims to offer products with as many American-made components as possible and operates two centers, the flagship shop and the Bike and Board House. The flagship shop holds apparel while the bike and board house is where enthusiasts can buy, rent, or fix their boards and bikes as well as find beach essentials. Morey’s Piers includes two water parks and three piers. The Raging Waters and Ocean Oasis water parks both offer children's activity areas and water rides; Ocean Oasis also has the Beach Bar and Grille, which serves fare made from fresh, local ingredients. Mariner’s Pier is a classic amusement park with simpler pleasures where visitors can have a full breakfast served on the pier’s giant Ferris wheel (Breakfast in the Sky). Surfside Pier was the first pier in Wildwood and is home to the local carnival, while Adventure Pier is where people go for extreme rides and live entertainment all season long on the pier’s new performance stage. 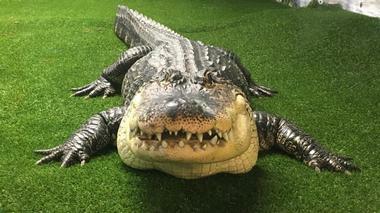 The Seaport Aquarium is located off the boardwalk and displays a well-rounded collection of aquatic life, including reptiles. You’ll find fish and monkeys, eels and alligators, turtles and sting rays and, of course, sharks. Seaport also has a touch pool, where you can get interactive with the tank’s residents. The aquarium seeks to be both recreational and educational, and holds feedings at different times throughout the day. You also have the opportunity to feed some of the animals. It takes a full hour to see all of Seaport’s exhibits, but give yourself more time if you’d like to read the plaques and ask questions. 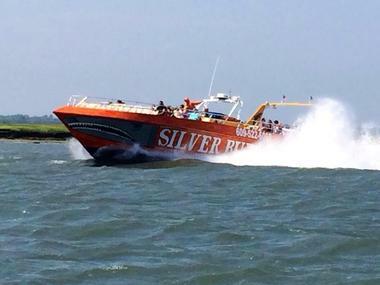 At Silver Bullet, guests can enjoy dolphin tours courtesy of the world’s largest speedboat. The Silver Bullet tours the area at extreme speeds, allowing passengers to experience local points of interest and observe marine life, including birds and dolphins, while narrators entertain and provide choice details. 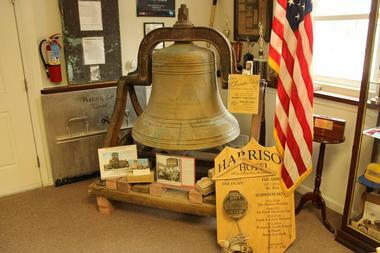 Guided tours happen three times daily and last 90 minutes. Guests are encouraged to bring their camera to capture it all and a bathing suit to enjoy the ocean spray and do some sunbathing. Free parking is provided, and the Silver Bullet stocks snacks and drinks on board for sale. Splash Zone Water Park is one of Wildwood’s most popular attractions. Splash Zone has water slides and interactive splash zones for the kids and thrilling rides and slides like the Beast of the East, the Slide Winder, the Giant Bucket, and Hurricane Island, Splash Zone. The water park also features fun at Rivy’s River, where guests can float down this slow-flowing river in their own personal inner tube, and Hang Ten, the only flow boarding space in Wildwood. Luxury cabanas for two to eight guests are available for rent, and parking is free with the purchase of at least two All Day Food and Fun Deals and two All Day admissions. In the 90s, studies made by three universities (University of Pennsylvania, Yale University, and Kent University) determined that Wildwood had the largest collection of 50s and 60s American architecture (Doo Wop) in America. The Doo Wop Preservation League opened its museum in 1997 and aims to preserve both Doo Wop architecture and culture. 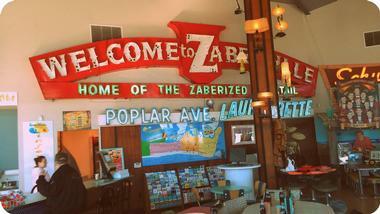 The league provides tours on the Doo Wop Historic District, where 50s era resorts, diners, and neon abound and which has an online gift shop. In the museum, visitors will find representative objects from the era, including signs and motel and hotel fixtures which showcase the period when Wildwoods was a performance stop for first-rate music acts.